Already left in the wake of the Predator_X’s hype, its predecessor in the Predator series is in danger of becoming quickly forgotten. But for those who were loyal fans of the 9th edition of the Predator and with some pretty good deals around now, we’ve decided to take a look back at the Predator PowerSwerve and so you can compare it with the newest generation. Like previous generations, this Predator PowerSwerve Control is among the most comfortable boots I’ve tested. The soft leather and molded foot bed are accommodating and ' supportive even after a full practice session, though it must be said there isn’t a great deal of arch support. The multi-density plastics do a good job of balancing support with flexibility in the midfoot area, but I would have preferred k-leather to be have been used instead. The soleplate is integrated into the k-leather upper extremely well, so there is a tight fit. The heel-counter rises high in the back and sides to lock the foot into the boot extremely well, ensuring your foot never slides in any direction. 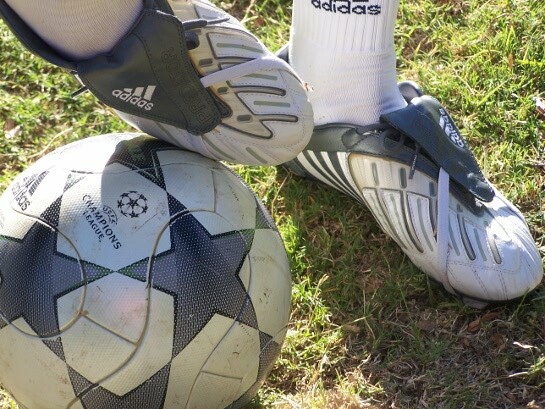 adidas has always been known for the quality of its products and materials, and the Predator PowerSwerve adds no blemish to that reputation. The leather is fairly thin, so it does show signs of wear after a few weeks of testing, but still manages to hold up well. As you would expect, the band holding the tongue in place does fray over time and will eventually tear. A noticeable feature that has diminished with each evolution of the Predator is the amount of k-leather used as much of it has been replaced with a synthetic. Such a change in choice of materials would obviously save adidas funds in the production of the boot, but it also sacrificed the footballers’ feel for the ball. I say this because there isn’t a great deal of k-leather on the instep and outstep of the boot, so the cushion that would have previously been provided isn’t there. The toe box is quite small as well so the boot isn’t particularly suited for dribbling. What k-leather is on the forefoot is largely covered by the iconic Predator tongue. The rubber Predator element doesn’t provide much aid in producing a swerve effect on the ball, but does provide a nice visual reference to where you should be striking the ball to “Bend it like Beckham”. As far as the boot being focused on ‘Control’, I fail to see how the design of the vamps helps with that. The tungsten PowerPulse technology doesn’t add any visible power to your strikes, nor does it feel as if it does. 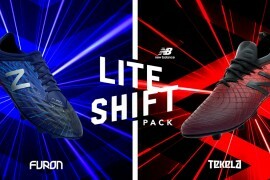 In my opinion adidas offer the best sole plate available with their Traxion stud placement. Though the soleplate isn’t very flexible, the bladed studs interact well with any surface- hard, soft, or firm ground. You never feel any awkward engagement with the turf. 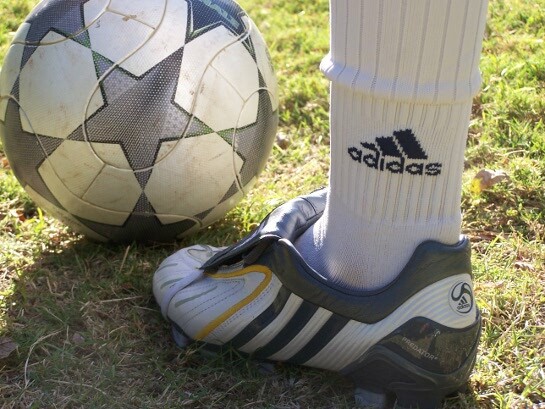 These boots particularly cater to players who prefer the use of “power” to that of dribbling and skills. The Predator is as good as it gets when it comes to the passing and striking but they aren’t ideal for running with the ball in my opinion. 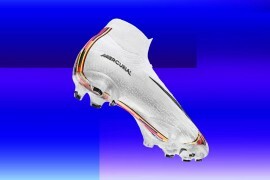 But make no mistake, these are a quality pair of boots and you can expect to find some good deals on them in the coming months as the Predator_X replaces the PowerSwerve on the feet of global stars Gerrard, Beckham, Ballack, and Raul. 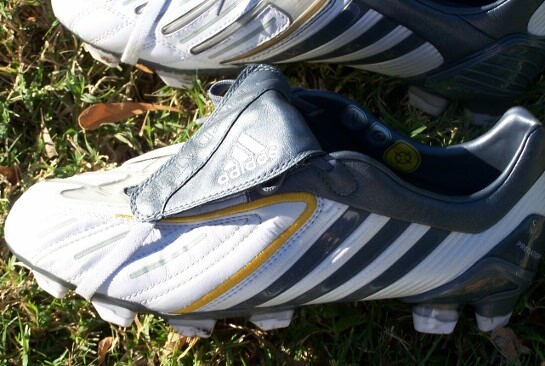 For me the version before these were the best preds I have had! anyone else annoyed with the gap between the top of the tongue and the ankle? particularly near the outside of the foot. Im thinking of cutting the tongue off for a snugger fit. I’m guessing you’re referring to the gap perfectly shown in the last picture. I’m quite annoyed with that as well. It seems to be present in most Predators. I had Predator Abosolion and it didn’t feel as comfortable due to the gap. But the new Predator X seems to be different; without the tongue, there might not be a gap! Top review Matt (as always) and you’re right about the price – bound to be a few deals around now / soon as the X is out. where can you customize them? I have these boots, I love these boots, they are so incredibly comfortable. It’s true that I don’t notice any increase in power or swerve from the tungsten or the rubber, and my only real issue with them was when I’m being pushed shoulder to shoulder off the ball, the blades don’t dig in sideways in any way and I seem to just slide to the side, which was a tad irritating. But comfort, second to none. This test is very subjective. How do you want to feel if your shot shows is 5% more power or swerve. On the other hand, if you for example feel faster in vapors it doesnĂâ€šĂ‚Â´t you really are. Only numbers count. Have there been any reviews where this guy doesn’t like the shoe? They are all the most comfortable boot he’s tested. the X stands for the 10th generation of the boots, as well as adidas tryna make them sound cool ish. 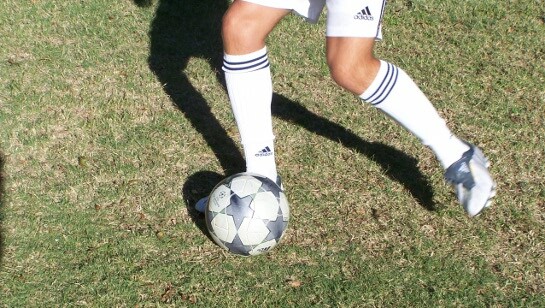 i have had these cleats for a few months now, and I love them for my striking of the ball. Formally I had used the predator absolions and now I feel as if i strike the ball twice as hard. I don’t see any aditional curl though as I feel as if I can swerve the ball much better with my indoors, the copa indoors. 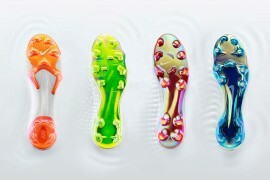 The cleats do not increase my speed, and they do not work will in wet conditions. 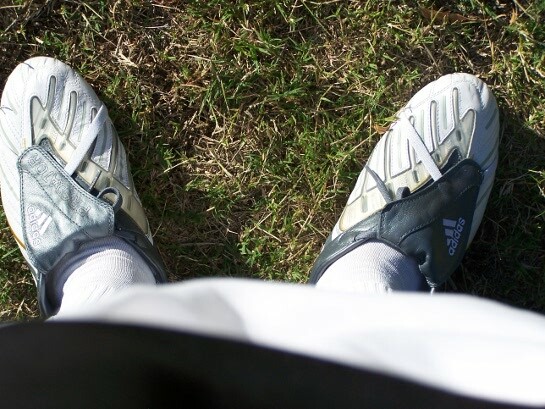 Overall, they are a great cleat, although there are a few miscues with the cleats. Saying that I don’t run increasingly fast, is that I prefer the weights inside of the sole due to the quite significant power gained. I have the “swerve” ones and do feel that I can curl a ball better than I normally would. The PowerPulse insoles don’t give me that much power but I know what everyone is saying about the gap at the top of the lace cover. for me, the predator powerswerves are the best pair of boots i’ve ever bought. the simple fact is that different people have differently shaped feet–and these fit my feet perfectly. i’ve had no problems with the fold-over tongue. judging by the pics, i tie my laces a lot tighter than the reviewer does. no “gap” problems for me. I still hold on to my CL absolutes even though there are holes in the insole now. I did not get these ones because they are simply such a different fit. That started a long quest to find something similar. I ended up with wave shinken II’s which are fantastic.